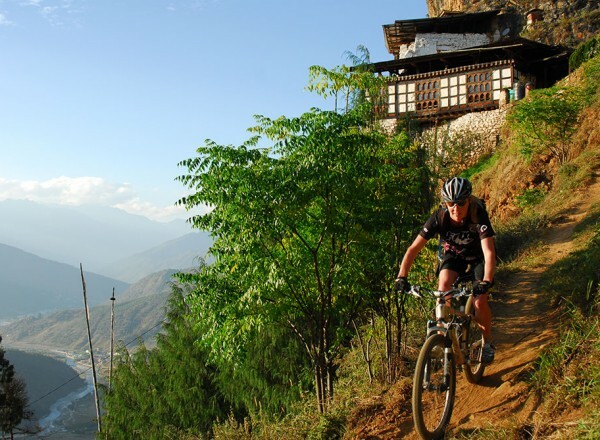 On a clear day, you will have spectacular view of the snowcapped mountain range of the Eastern Himalayas. 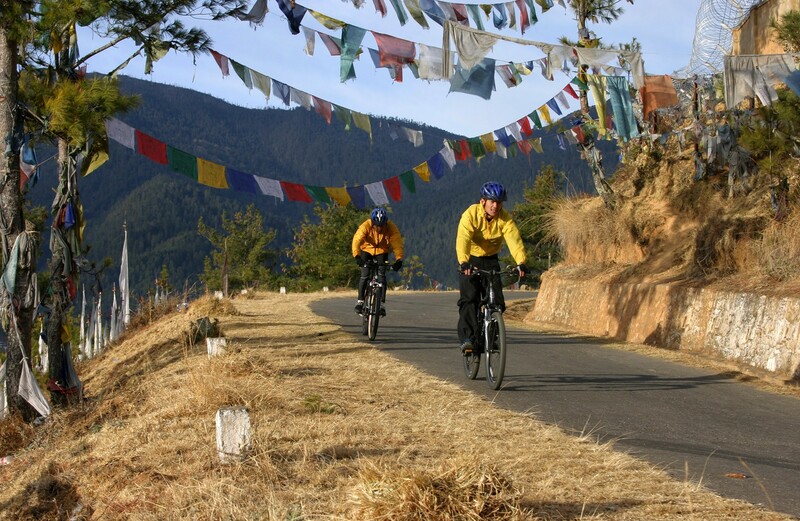 After Dochula, you will be cycling down hill until you reach Lobesa. Day 01: On arrival at Paro International Airport, our representative will receive and transfer to the hotel. Evening stroll in town. Overnight stay in a Hotel. Day 02: Full day sight seeing – visit Drukgyal Dzong (a ruined fortress – 14 kms from Paro town). Although in ruins, this Dzong is of great historical importance in the Bhutanese context. This Dzong was built to commemorate victory over the invading Tibetans who were driven back to Tibet from this point. The daunting peak of Mount Jumolhari is clearly visible on a clear sky. Way back, visit a typical Bhutanese farmhouse. After lunch, visit ‘Taa Dzong’, the National museum of Bhutan, Rinpung Dzong and walk down to Paro town through the wooden bridge. Evening visit Kichu Lhakhang, one of the holiest monasteries, which was built in 7th Century. Overnight stay in a Hotel. Day 03: Early breakfast and start your journey for Thimphu. Distance is 70 kms and will appx take 5 hrs to cycle you to the capital. 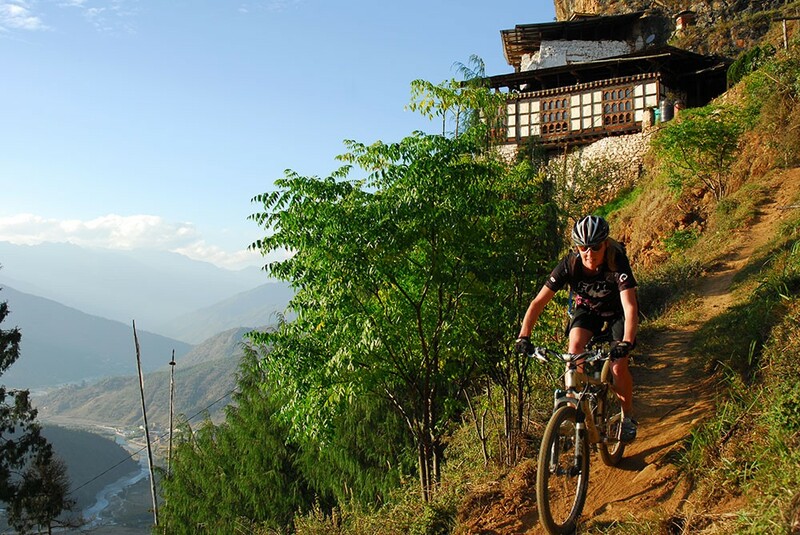 On the way, you can have views of Tacho Lhakhang, go through Chunzom Police check-post . You will visit Simtokha Dzong the oldest Dzong in Bhutan, which is at the outskirts of Thimphu town. Overnight stay in a Hotel. Day 04: Full day sightseeing, visit Dup-Thop Lhakhang (nunnery), view point for an aerial view & photography of Thimphu valley, Memorial Chorten, National Library, Painting School, Handicrafts Emporium, and view of Tashichhodzong (the central secretariat) and stroll in town. Overnight Hotel. Bhutanese stamps and afternoon stroll in town. Overnight stay in a hotel. Day 06: Early breakfast and continue your journey to Punakha through Dochula Pass 3050 m which is approximately 25 Kms from Thimphu. Evening sightseeing of Punakha Dzong and town. Distance is approximately 77 kms, and will approximately take 5-6 hrs. Overnight stay in a Hotel. Day 07: Early breakfast and drive to Trongsa via Wangdiphodrang. Distance is approximately 145 kms, and thus you will be biking only at selected places. On the way, view of Rukubji and Chendebji village. Picnic lunch on the way. Overnight stay in a Hotel/Guest House. Day 08: Early breakfast to proceed for sightseeing of Trongsa – view of Trongsa Dzong and the Taa Dzong. Trongsa Dzong is the biggest Dzong in Bhutan and is the ancestral home of the ruling dynasty. It now houses the district administration office. Built at split-levels, the Dzong fits narrowly on a spur that sticks out into the gorge of River Mangdechu and overlooks the routes south and west. Taa Dzong, watchtower of the Dzong in the former days, displays many interesting armors used by the Bhutanese soldiers during those days. After your sightseeing, continue your journey to Bumthang. Distance is 68 kms., appx.time 4-5 hrs.Overnight stay in a Hotel./Guest House. Day 09: Full day sightseeing – visit the historical Jakar Dzong built by Minjur Tempa, the third Druk Desi (Temporal ruler) in 1646 AD. It was later repaired and expanded by Gyalse Tenzin Rabgye, the fourth Desi of Bhutan in 1683 AD, visit other important monasteries such as Jambay Lhakhang, Kurjey Lhakhang, Kencho Sum Lhakhang and Tamshing Lhakhangs. Also visit the Swiss farm. Afternoon walk around the valley. Overnight stay in a Hotel./Guest House. Day 10: Early breakfast and drive to Thimphu via Gangtey. It is a beautiful valley with a Monastery “Gangtey Gompa” which is historically important in the Bhutanese context. If the weather is clear, one can have close view of the picturesque black mountain range. Phobjikha valley which is next to Gangtey Gompa, is one of the most beautiful valley in Bhutan and is a winter home of the endangered rare specie Black Necked Cranes. Continue drive to Thimphu. Overnight stay in a Hotel. Day 11: Drive back to Paro via Thimphu. Overnight stay in a Hotel. 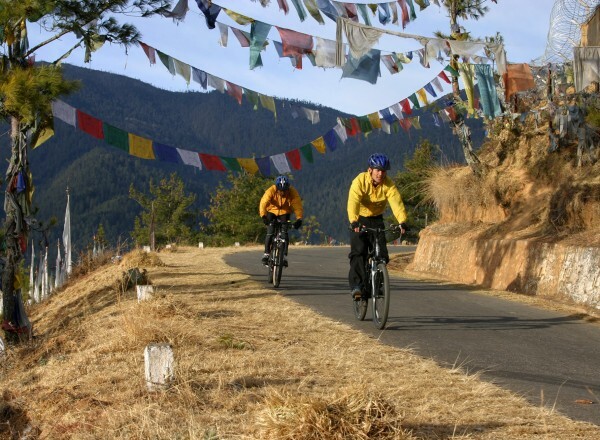 Day 12: You have options – if you are travelling to Sikkim or Darjeeling (India), you can continue biking towards Phuentsholing, the border town & exit to India the next day. 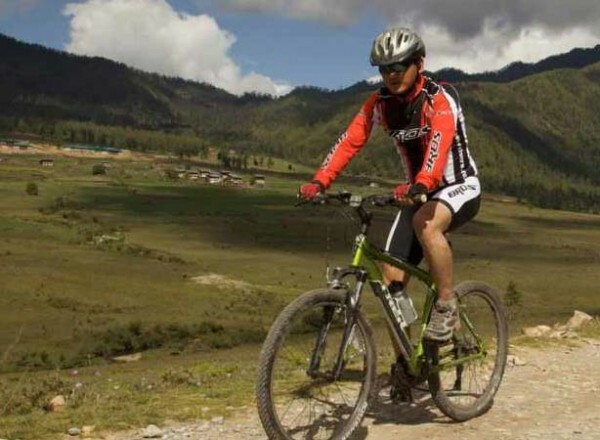 Distance is 175 kms and you will be cycling downhill in selected places. Spend overnight in Hotel. The other option is your exit from Paro by air. Overnight stay in a Hotel. Day 13: Drive to the International Paro airport for departure.